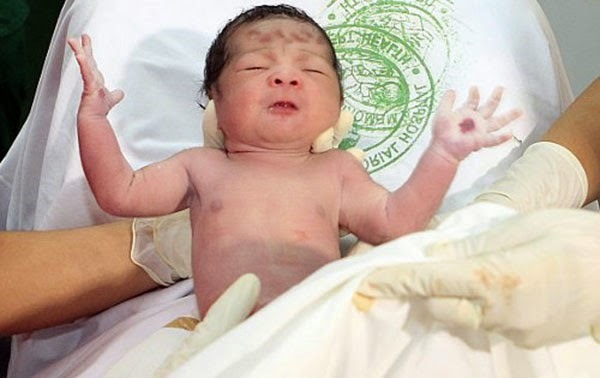 A viral story has claimed that a Filipino baby was born on March 15 with stigmata-like marks similar to the crucifixion wounds of Jesus Christ. The story published by "Tel Aviv-based American Jewish Zionist newspaper" World News Daily Report identified the so-called blessed child as Jejomar Castillo. Said to be weighing 3.2 kilograms, the baby "was born" Sunday morning at Quezon City General Hospital, the report claimed. Immediately after his birth, a large crowd reportedly gathered outside the medical facility to pray. "Thousands of people" who brought placards written with messages like "Welcome to the Saviour" and "Thank you God for sending Jejomar" went to the said hospital following the circulation of rumors around QC, according to the report. It even cited a certain Ph.D. Merlyn Cruz as saying that the "Filipino baby born with stigmata-like marks" is suffering from "a very rare syndrome causing localised purpura, which is characterized by red or purple discolorations on the skin." "I have to admit that this is an amazing case," Cruz allegedly said. "Only a handful of similar cases have been recorded throughout history, and it’s the first time on a baby, so the scientific knowledge accumulated about his pathology is very scarce. We are doing a series of tests to determine what these sores actually are and what is causing them to appear, but we have found nothing yet." Although the website produced photos of the "miraculous baby" to make the story credible, people should take it with a grain of salt. It is quiet impossible for a newspaper in faraway Israel to get a scoop ahead of large news organizations that are based in the subject country such as ABS-CBN, GMA, CNN Philippines, Rappler, and Yahoo! News Philippines. Also, did you check the logo on the hospital bed sheet? 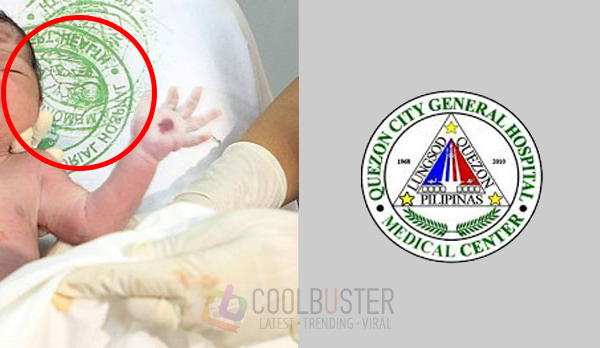 It's different from the logo of the Quezon City General Hospital. It seems the thin line between real and fake news as well as satire has already disappeared.